Players too often under-perform because the aren’t trained to deal with the day-to-day realities of competing in baseball. A great swing in the cage does you no good if it falls apart in a game. A great bullpen does not promise a great game. Competing is a teachable and learnable skill. The goal of this free workshop is to start you (or further you) on your quest to consistently compete pitch-to-pitch at or near your full skill level, regardless of circumstances. COACHES: We’ll help you teach mental toughness to your players so their skills don’t evaporate under pressure. 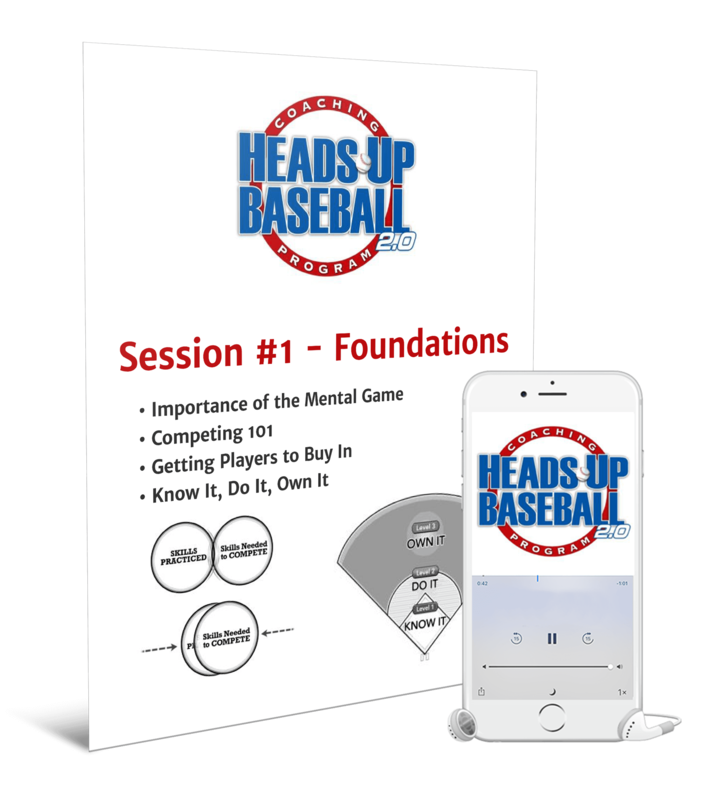 PLAYERS: We’ll share tips and strategies we’ve learned from baseball’s best players on what to do when the heat is on to give yourself your best chance for success. PARENTS: We’ll give you ideas on what to talk about with your son to give you your best chance to be helpful… instead of unintentionally being another obstacle he has to over come.